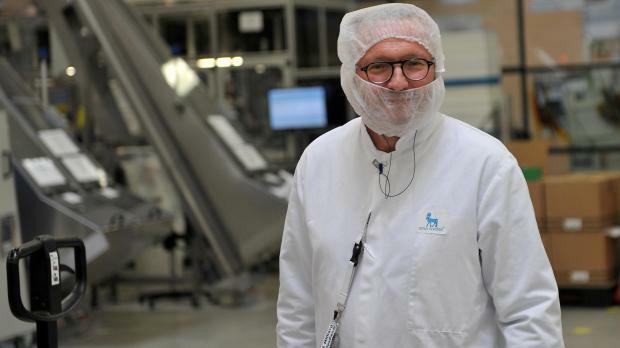 An employee poses at the insulin production plant of Danish multinational pharmaceutical company Novo Nordisk in Chartres. Diabetes - which can lead to blindness, kidney failure, heart problems, neuropathic pain and amputations - now affects 9% of all adults worldwide, up from 5% in 1980. Researchers said the amount of insulin needed to effectively treat type 2 diabetes would rise by more than 20% over the next 12 years, but insulin would be beyond the reach of half the 79 million type 2 diabetics predicted to need it in 2030. Dr Hertzel Gerstein from Canada's McMaster University wrote in an accompanying commentary that it was important to estimate and ensure insulin supplies, but added the forecasts should be treated cautiously as they were based on mathematical models.